Planting Justice, an Oakland nonprofit that builds and maintains urban gardens, practices sustainability in more than just the ways one would expect. 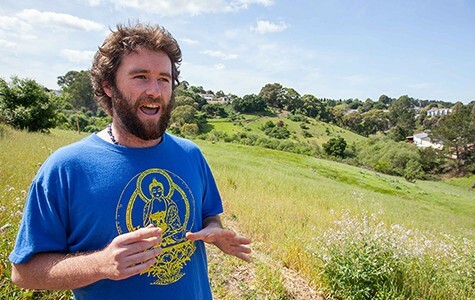 Since 2009, the organization has transformed yards all over the Bay Area, using permaculture design to recreate natural ecosystems and build sustainable urban plots that require little extra work. But they also use the same principles of permaculture — citing fundamentals such as "diversity is resilience" — to design their organization to eliminate the majority of their need for funding from foundations and to employ formerly incarcerated people. Permaculture attempts to create an optimized ecosystem in which excess product is reinvested into the soil in order to help future plants grow. Techniques like water catchment and graywater systems make the most of minimal resources, while no-till practices allow plants to grow in healthy soil enlivened by networks of beneficial organisms. Planting Justice uses the same method of re-investment in order to create long-term work opportunities and extended community benefits. But neither farms nor nonprofits are easy to design sustainably. Planting Justice is currently launching the last branch of its nonprofit model, which involves five areas of work. Planting Justice founders Gavin Raders and Haleh Zandi began in 2009 with the Transform Your Yard program. They were working together at the Insight Garden Program, a gardening program at San Quentin Prison, when they decided they wanted to create similar opportunities for prisoners once they were released. With Transform Your Yard, property owners pay the organization to build urban gardens in backyards all over the Bay Area for people who want to begin growing their own food or even keep urban farm animals. In these jobs, Transform Your Yard employs recently released prisoners full time at a start of $17.50 an hour. The profits generated by this program also allow Transform Your Yard to install free urban gardens for low-income families who need healthy food. So far, they have built 315 gardens, and 80 of those have been for free. That's also how they avoid relying on grants. "Being able to create living-wage jobs in the community is really important to us, especially for folks who are formerly incarcerated and long-term unemployed, who are most deeply impacted by food injustice and economic injustice," said Raders, who is the executive director at Planting Justice. "That's really hard to do if you're tied to the grant and foundation cycle." In their second branch, Planting Justice teaches programs at four Oakland high schools (McClymonds, Fremont, Oakland Tech, and Skyline), Keller Plaza, two juvenile detention centers, San Quentin Prison, and Santa Rita Jail. The organization also maintains gardens at several of the educational sites to produce food for students. The organization uses gardening as a teaching tool to educate students about food sovereignty, social justice, and the ways that food and land have historically been used as both tools of oppression and means of decolonization. "Black Panthers, United Farm Workers, Ghandi, and all these kinds of movements around the world ... have used food and land to fight for people's rights," explained Raders. Plus, educators — many of whom are formerly incarcerated — share personal stories of struggle and transformation. Planting Justice also participates in a rehabilitation program called Pathways to Resilience, which brings organizations together to provide services for people coming out of prison. In this program, Planting Justice teaches a free permaculture design certification course to formerly incarcerated people. That and other educational programs are funded by long-term small-scale donations solicited by a team of full-time canvassers. Those two programs make up the third and fourth branches of Planting Justice's nonprofit model. For the fifth and final branch, Planting Justice is moving into to commercial farming and larger scale educational programming. 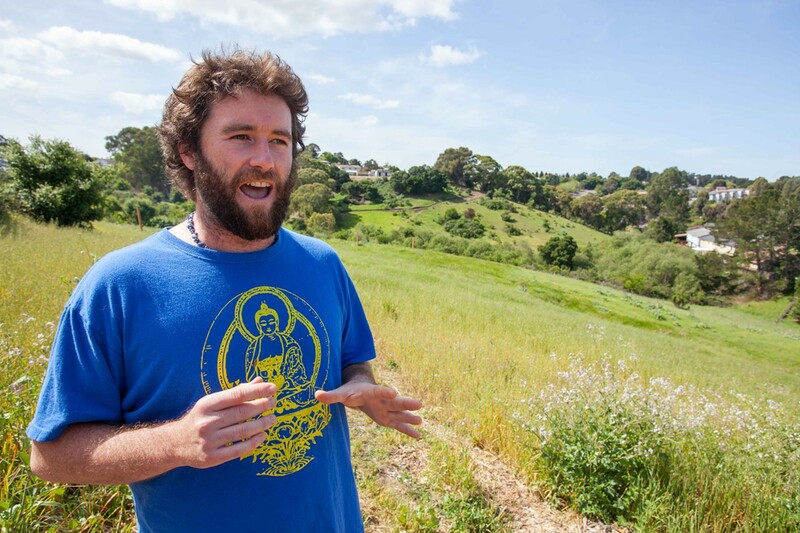 In 2012, Raders, Zandi, and a few friends formed an LLC called Wild & Radish to purchase a ten-acre plot of land in El Sobrante through low-interest private loans. On half of the property, Wild & Radish will build an eco-village for people interested in living affordably and cooperatively in a non-urban setting, while still being only about twenty minutes from Oakland. The other five acres will be leased to Planting Justice at a dollar a year, where the organization will design a permaculture farm to be used for educational programming — supplementing existing programs and creating new ones. Right now, the plot is still mostly rolling green hills, but there are big plans for irrigation systems that will eventually allow trees to grow without extra watering, and diverse multi-storied cropping that will put smaller plants underneath larger ones to mutually beneficial effect. Eventually, the produce from the farm will be sold through community-supported agriculture outlets and at farm stands, and as products like pesto and medicinal salves. Like with Transform Your Yard, about a third of the products will be offered free to low-income people or at sliding-scale prices. Once completed, the farm will also create a lot more jobs for people coming out of prison. When I visited the farm last week, Salvador Mateo, Julius Jones, and Maurice Bell were digging a trench to put up a deer fence, sweating profusely as the sun beat down. Mateo has been at Planting Justice five years, and is now a supervisor. Julius has worked there three years, and Bell was hired four months ago. Bell began working within days of being released from San Quentin, still in disbelief that the opportunity could be real. Last week, he beamed as he expressed the feeling of waking up every day and wanting to go to work. He said the look on people's faces when he gives them free vegetables makes the difficult manual labor more than worth it. "My goal one day, eventually, I would like to go back into San Quentin with Planting Justice and let them know that this is really real," said Bell. "Everything that Planting Justice says that they do, they're doing. And I am a product of that environment." The idea behind permaculture is to work with what you have to model an ideal ecosystem, and that's what Planting Justice aims to do socially as well. Raders hopes that once they've completed building out their model and proven its success, it will be taken up by others across the country. "Mass incarceration rips people out of their land and from their communities and doesn't do anything to repair those relationships once they come home," said Raders. "That is such a flagrant example of what happens when people and place and story and land have been disconnected. It's where we are starting as a political act, but also because those folks are the leaders that we need in order to transform our society." Correction: An older version of this article incorrectly referred to the Insight Garden Program as the Insight Prison Project.